The world’s most valuable AI startup SenseTime is reportedly working with advisors to raise $2 billion in a fresh round of funding. People with knowledge of the matter said that the deliberations are at an early stage and details of the deal could change. 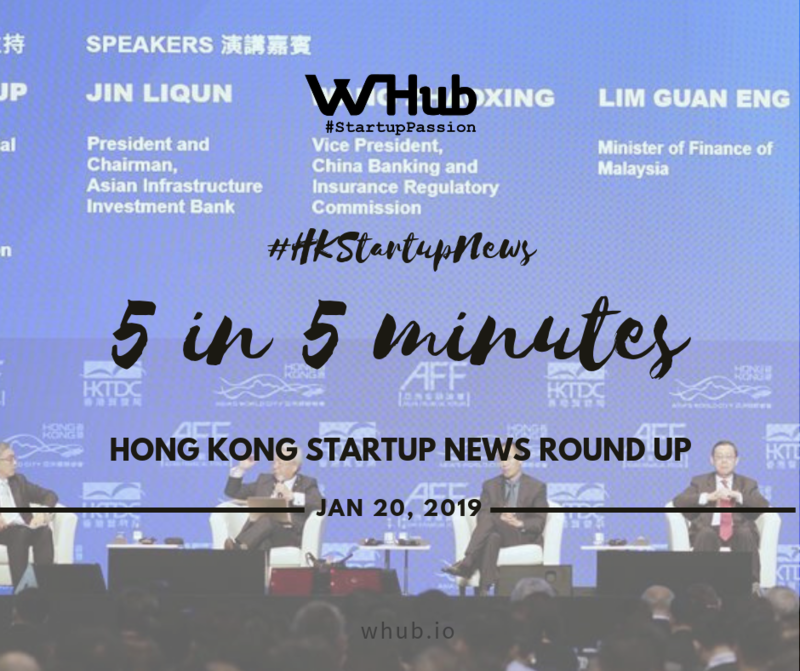 The Hong Kong AI unicorn raised over $1.2 billion with a valuation of over $4.5 billion in 2018, with investors include private equity firm IDG, Singaporean state investor Temasek, and Chinese e-commerce giant Alibaba. Investors have been handing billions of dollars to Chinese AI startups like SenseTime, hoping to ride a wave of government support amid a plan to become the world leader in AI by 2030. According to SenseTime, it has experienced 400% growth since its founding, as it works with police, retailers, and healthcare researchers across China and internationally with its computer vision technologies. StartmeupHK Festival, one of the most signature week-long festival by InvestHK, will commence on 21 Janauary and ends on 25 January. There will be a total of 7 vertical champions, showcasing key themese such as startup-corporate collaboration, healthtech, lifestyle and retail tech, smary city, AI and EduTech, and financial services. Organised by the Hong Kong SAR Government and the Hong Kong Trade Development Council (HKTDC), the 12th Asian Financial Forum (AFF) took place on 14-15 January under the theme "Creating a Sustainable and Inclusive Future". This year's AFF brought together more than 130 policymakers, financial and business leaders and heavyweight investors to survey the current global economic environment and offer insights on the opportunities and challenges that businesses will face in the coming year. “In Hong Kong, we have 300+ FinTech startups, 3 FinTech unicorns - Hong Kong has the second highest density of unicorns per capita after Israel.” Karen Contet Farzam, co-founder of AngelHub and WHub and founding board member of FinTech Association of Hong Kong, moderated a panel on “Why Collaboration is Key: Insights from Frankfurt’s and Hong Kong’s Fast-Growing FinTech ecosystems” with Dr. Sebeastian Schaefer, Managing Director of TechQuartier. You can read the review here. Hong Kong-based autonomous driving start-up AutoX is in talks with investors about a new round of financing, months after the company piloted autonomous grocery delivery services in San Jose, California, in August. Last month, it received its first licence to test-drive self-driving cars in China. AutoX is understood to be looking to raise as much as US$100 million. The fresh funds will enable AutoX to increase its fleet as tech companies race each other to teach machines how to master driving skills. Megvii, the owner of facial recognition developer Face++, is considering an IPO in Hong Kong ranging from USD$500 million $1 billion. The Beijing-based firm, backed by Alibaba Group Holding Ltd., is competing with the world’s largest AI startup SenseTime Group Ltd. -- also backed by Alibaba-- as the two provide facial recognition technology to financial, retail, mobile and government clients. “We are considering many options to raise funds but have not committed to a final plan,” Xie Yinan, a spokesman for the company, said in a text message. Seven-year-old Megvii provides face-scanning systems to companies including Lenovo Group Ltd. and Ant Financial, as well as the Chinese government, which implements their technology in more than 260 cities and helped police arrest more than 10,000 people.